Excellent dealer and service. John and Sofia were very friendly. Lovely car which was better than described. They did exactly what they said they would do and more. Very pleased. Thanks very much. Very helpful and informative good value! honest friendly and polite service. Thanks so much John and Sofia for an excellent buying experience. We bought an Audi Q7 on the strength of the online information and very helpful video walk through of the car. First time we have ever done this and we were very tentative and worried at first. We cannot thank you enough for your patience with us and for what has turned out to be a superb car. We are loving driving it and we are really delighted with it. We would definitely recommend you to anyone. Just a note to say I am very pleased with the service provided. I had to export the car to the Isle of Man and It was delivered to the docks exactly on time. I bought the Mercedes E Class on the strength of the online pictures and description and found the car to be exactly as described. I cannot thank tradecars4u enough for all they have done. I am now a very satisfied customer. A five service from 5 star people. Having a video walk through on a car I couldn't get to view was excellent, car was delivered at time stated and it was an overall outstanding service. Just found out that my feedback email has been sat, queued, on my mobile phone so apologies for the delay in sending you this feedback. Just wanted to say a massive thank you for your time, patience and research during the negotiations and sale of the limited edition XK. I've ended up with a stunning low mileage car which is solely down to the research you conducted and this displays your willingness and ability to go that extra mile for your customers. Thank you so much, I wish you all the very best for the future. Excellent, honest and speedy service. 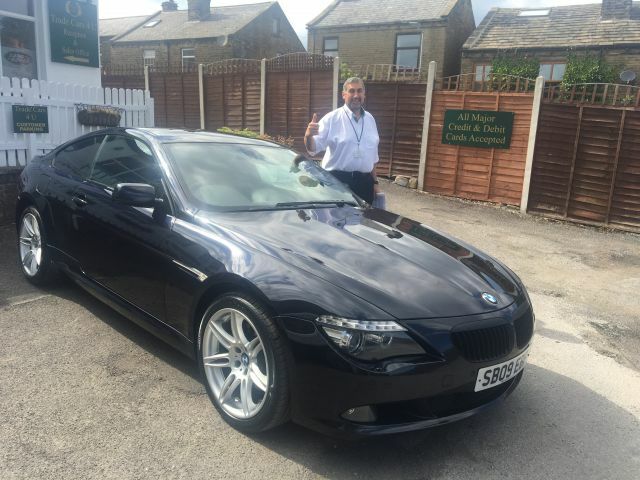 I purchased a BMW 650i unseen and from my initial contact Sofia's customer service and communication was great. I needed the car quickly and John delivered it personally on a Saturday. Very impressed and loving the car. Thank you ! 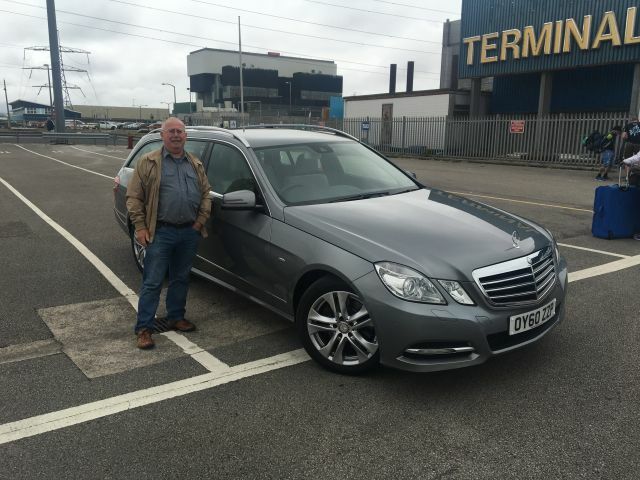 :We had a great experience with Trade Cars 4 U. John responded very quickly to my online query and was very helpful in answering my questions. He then altered his own plans to allow us to view the car as that was the only time we could do. He was very pleasant and helpful when we were there and the whole garage was immaculately presented. 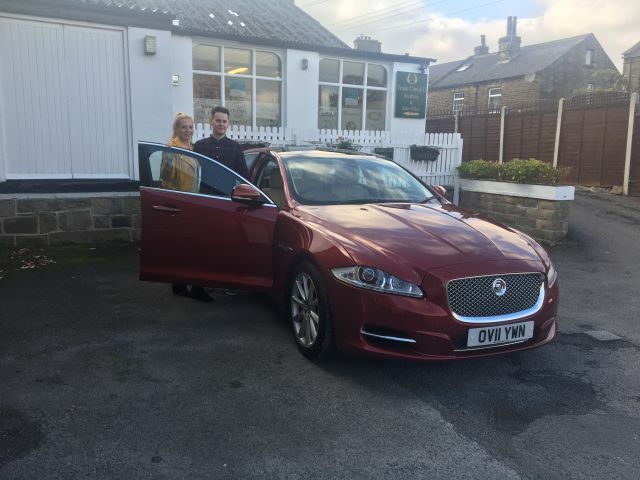 Unfortunately someone else viewed the car before we could test drive it so we missed out but we wouldn't hesitate to buy from John in the future and would highly recommend Trade Cars 4 U.
Dear Sofia and John !!! Thank you so much for helping me to purchase the car that I bought from Trade Cars 4 U. 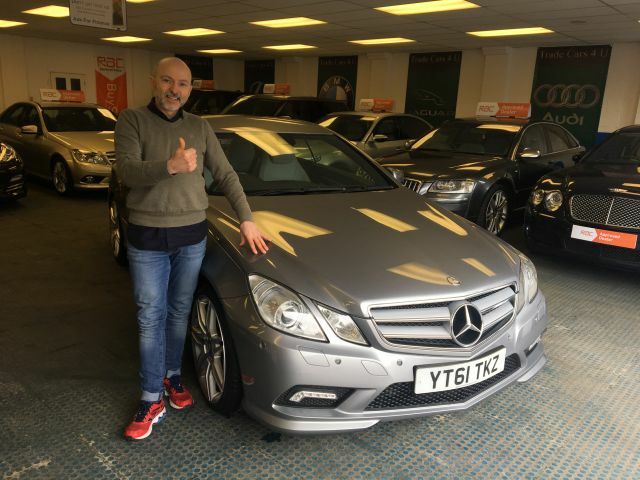 You described the car on your website at the beginning and upon talking to you, I realised I was making the right choice particularly when you sent me my personalised walk around video of the Mercedes. amazing even with this cold winter weather, it runs like new. If you are a distant buyer and are worried about buying a car unseen like me from Trade Cars 4 U, well donâ€™t. This is a decision I will not regret. I cannot say thank you enough and please share this review as you wish. I am happy to help other used car buyers in the UK like me knowing that they are 100% buying from a reputable company. 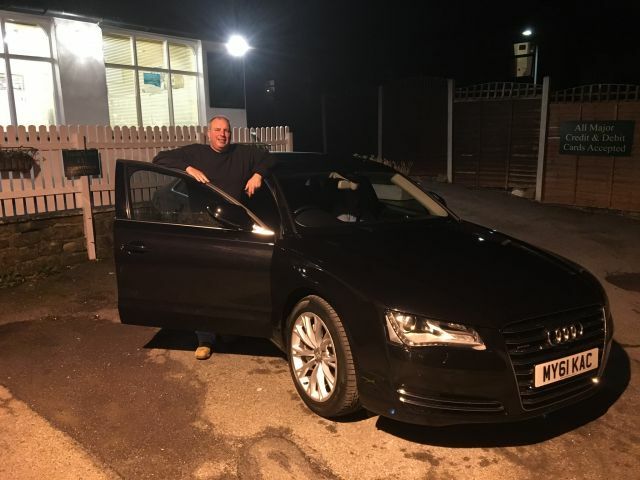 I recently bought an Audi A4 estate from these dealers and it was the first time I had bought from a dealers, so I was a bit sceptical at first but had no need to be , there service and communication was excellent, I would definitely recommend this dealership to anyone, many thanks for Trade Cars 4u. Thanks for your excellent service. Your customer relationship is fantastic. If your business depends on quality and service you will always prosper. John and Sophia I thank you. Regards Ronnie. Very Helpful and friendly from the first phone call, to the sale of the car. I part ex'ed my old car, and unlike the other dealers I had spoken with, he took into account the work I had done to it over the last couple of years, and offered me above the book price for the car ( a lot more than anywhere else). I would highly recommend this dealer to anyone looking to buy a quality used car. 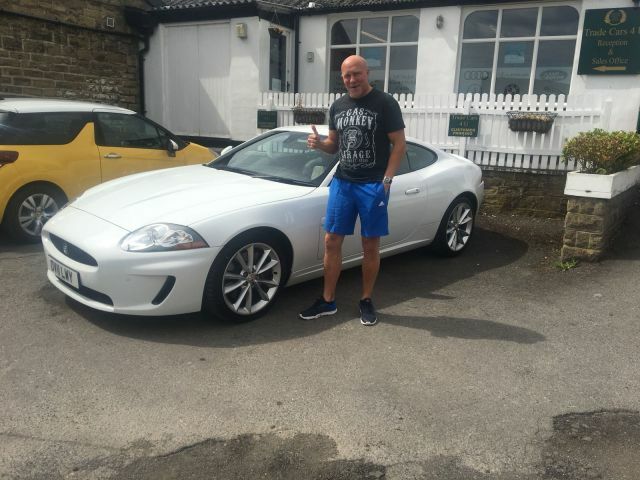 Just purchased a superb and stunning Jaguar XK, and considering I live in Southampton this was a massive gamble and risk without actually ever seeing the car! All I can say in John, Sofia and the team were brilliant at providing me with reassurance every step of the way. Their enthusiasm and support was second to none, and the could not do enough to help. If you are worried about buying remotely then don't I can assure you will get the very best support and advice, there are no inaccuracies with their descriptions. I would also like to reassure you that my feedback is genuine and happy to be placed in contact with anyone worried about buying from John and his fantastic team. they even presented the car with bows and ribbons and flowers for my partner - she was delighted. So Thank you so very much Trade Cars 4u. Thank you for your valued custom. It was a real pleasure meeting you and Steve. Hope you enjoy your new Z4. Regards from all of us at Trade cars 4 U. Thanks john for a pleasurable transaction your description of the discovery4 was spot on and I am very pleased with the car and the quick delivery so thanks to you and your team I highly recommend trade cars 4u .dave. 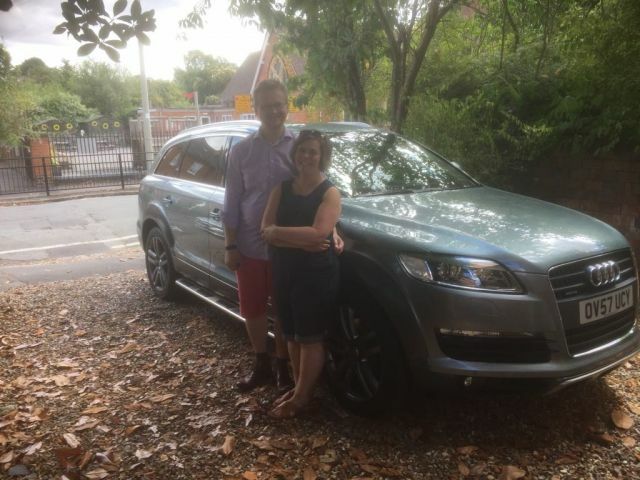 I have been very lucky with the used cars I have bought in the past, so my expectations are unrealistically high, however John met them all, especially after the sale took place. He took the time to give me all the information I needed and the handover was very good and straightforward. Had my BMW X5 for 3 weeks now and it drives like a dream, so a big thank you. Would recommend without hesitation. 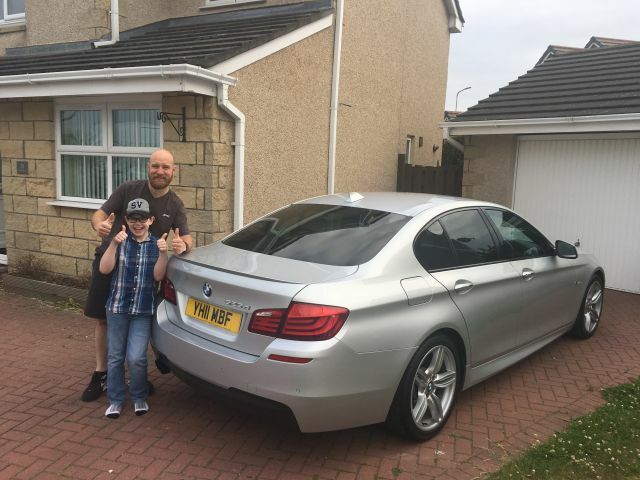 I have recently purchased a BMW X5 of john at trade cars 4 u and we are over the moon with it. It was a pleasure dealing with john and he really knows his stuff about the motor trade. I looked and looked for an X5 all over the country with no joy. I came across john on his website and the very same day I went and test drive the X5 and fell in love with the car. I spent over 14k on my new car and I'm happy with the purchases... very professional sale. Highly recommend and I'm already thinking about buying a Mercedes from here in the next few weeks. 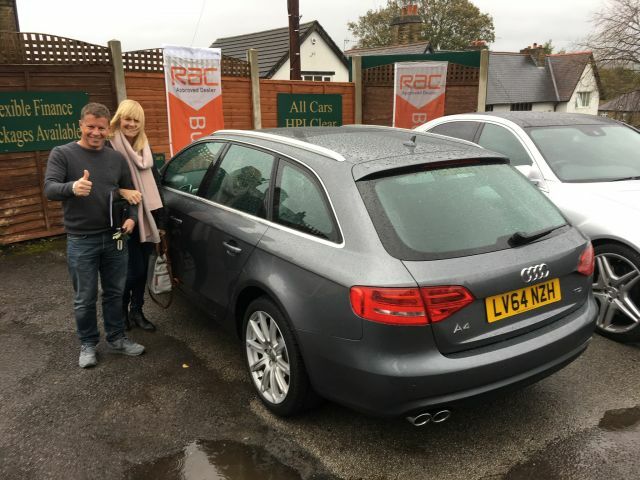 It's the first time I have used a RAC approved dealer. It really puts your mind at ease that the car you are buying has been fully checked over, serviced up to date and your even given a years top breakdown package and 3 months warranty . 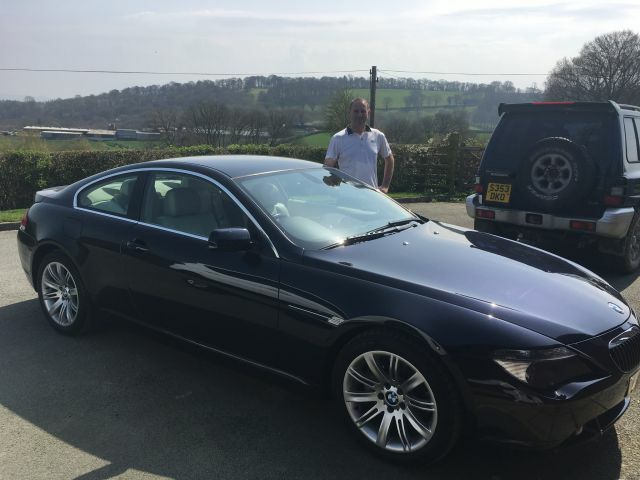 John at trade cars for you made buying the car an absolute pleasure, it was like picking up a brand new car. He really cares about customer service and not just a quick one-off deal. I'll almost certainly be back to him when looking for my next vehicle. I bought a Mercedes SL from John, remotely via the web. Big purchase to make sight unseen but from the moment I spoke to John I had no doubts. Honest, straight forward and responsive. All in all a good guy. John delivered the car personally and indeed he is a nice guy. Car was main dealer quality at a sensible price. Very happy indeed, wouldn't hesitate to use him again. Having spent a great deal of time looking for my next car, with the specifications I wanted in the colour I wanted I finally found it at trade cars 4 u. 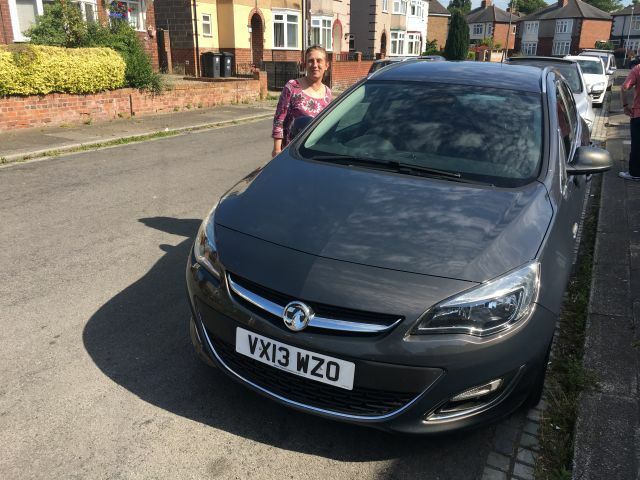 Having called John and his team regarding the car and all the other details you discuss while chatting about a new car we finished the call feeling confident in what a fantastic purchase I was considering. Having thought about the car a great deal over a couple of days, I rang back confirming I would have it. 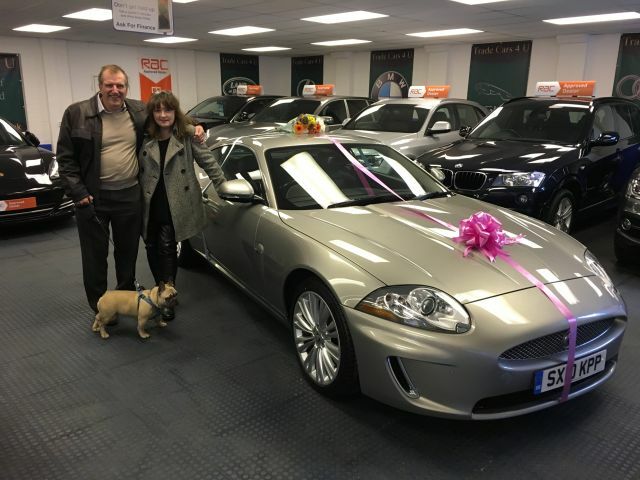 I had never bought a car before without seeing it first so was obviously a little worried but John reassured me that it was in the condition he said it was and that I would be pleased with the car. The whole process was simple and straight forward, all I had to do was pay for it and agreed a date and time for it to be delivered. Having lived over a hundred miles away and having a hectic work schedule it wasn't easy for me to get there in person. When the car arrived it was immaculate, just how John had described and I couldn't have been happier. I'm still driving round with a big smile on my face!!! I have already recommended family and friends to speak to John when looking for their next car. I will definitely be speaking to John when I decide on changing again and will be looking at swapping my wife's car later in the year and will be keeping an eye on the trade cars 4 u website. Thanks again and all the best John to you and your team!! The car is in outstanding condition, better than described. An absolute pleasure to do business with John. As a guy who has bought many cars over the years and a few new from main dealers, this has been the most professional and friendly service i've ever experienced. 10/10. From Sofia on the phone, to John delivering the car... my whole experience has been superb. They treated me exactly how I would expect to be treated when purchasing a car from someone. I felt safe in spending over Â£7000 without even meeting them. The car did not disappoint, not a mark on it. Thank you. I will be in-touch in the future for my next car! Please don't hesitate to buy from Trade Cars 4 U!!!!! A very professional and pleasant experience. Excellent service and nothing was too much trouble. Highly recommended and very happy with my transaction. This was one of the best buying experiences we have ever had. John and Sofia are so very easy to deal with. Really honest people. Also it was nice to not have the usual hard sell pushy car salesman tactic like other car dealers. The car we bought was a Mercedes C220. It looked great in the photos and was exceptional in the flesh. I would recommend this seller to anybody. I would 100% deal with them again in the future. Really good buying experience. Dealt with really nice people and got the car I wanted at a very good price. John and Sofia couldn't have been more helpful and obliging . I would highly recommend this company and I will be using them again . Buy with absolute confidence . I never thought I'd see the day I would buy a car without seeing it in the flesh. 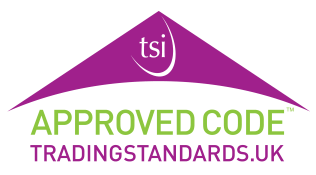 However I have to say I must congratulate John & his Team both in their professionalism & customer care, it has been a great pleasure dealing with his Company and I would have no hesitation in recommending anyone to try this approach - John was excellent in reassuring me & guiding me through the process which some may find rather daunting. Not forgetting David who delivered the car to my door - a real geezer ! Briiliant service tradecars4u - 11/10 from me ! Hola John, drove Astra back without a problem. Had trips out here to Gibraltar, CÃ³rdoba and more. Well pleased with the car. Many thanks for your help and courtesy. Phil Groocock. We've just bought our Range Rover Vogue from Sofia at Trade Cars 4 U. What a fantastic car we have at a great price. Absolutely love our car. Sofia is a truly lovely lady. 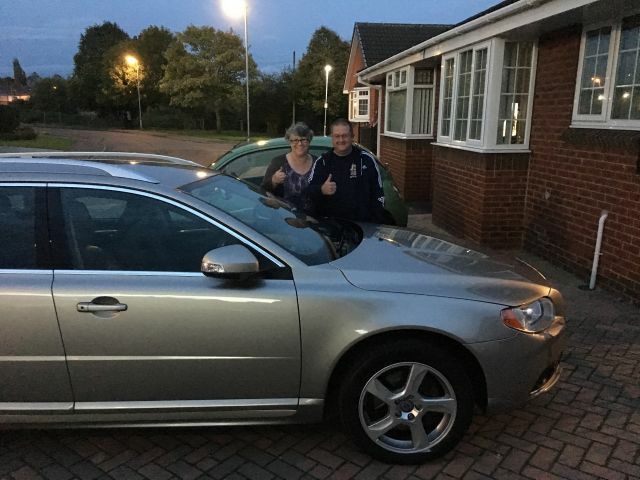 Nothing has been too much trouble she stayed back 2hours so we could view the vehicle one evening and came in on a Sunday so we could purchase and collect.. would definitely recommend Trade Cars 4U.. excellent service with a cuppa too. Never did I imagine buying a car without seeing it, or especially driving it, but after searching for nearly a year for a specific car, model, colour etc, I came across one on Trade Cars 4 U. I had never heard of the company as they are roughly 250 miles away, but an online search found the specific car I was looking for at Trade Cars 4 U. I was obviously sceptical, as any person would be about the prospect of buying a car only on pictures and descriptions, especially from a company miles away I'd never heard of! ... Well what can I say?!..... I don't know where to start! Top class customer service, car exactly as described, (if not better)!, communication everyday, sometimes 2 of 3 times a day, from deciding, to delivery of the car, and even after. John and Sophia you guys are brilliant, (even battled through the Scottish to Yorkshire accent brilliantly)! Over 6weeks on now, and still can't stop smiling :-), thanks again guys! .. Highly recommend! Lovely people to deal with John and Sophie. Great service, Many Thanks again. Excellent communication and service from John by e mail, and Sofia in person when we arrived. I left some CDs in the car I traded in and these are being sent on to me. No sales hassle at all and internet agreed deal honoured. A very pleasant experience, oh and the new car is great. I would definately recommend Trade Cars 4U to my friends. It's the first time I've bought a car from a dealer on line and I couldn't have hoped for a better experience. We were met by John when we arrived and we were put at ease immediately - we were given all the time we wanted to look around the car on our own but he was never far away to answer any of our questions. If and when the time comes that I'm looking for another car, I'll be sure to check out your stock list. Cheers! Cant praise John enough. Bought a really nice 350Z off him. Unfortunately there was an issue with it that I discovered on the way home. John wasted no time in sorting out the problem despite me living nearly 100 miles away. I worked in the motor trade for 15 years and I learnt quickly that all dealers went to the Arthur Dailey school of After Sales Care, John obviously did not attend that particular school. Thanks John, you are a stand-up guy. I was looking to buy a 4x4 as my wife & I have mobility problems. A friend told me about trade cars 4 u so I rang and spoke to John and within a few days he found a Hyundai Santa Fe. This was ideal for us at a price we could afford so we thank you John. We were looking for a Saab 95 Diesel 2010 on the internet and Trade Cars 4u had just what we were looking for. Low mileage, colour, model , ideal. We contacted John and he sent us a good selection of pictures, as the car had only just come in. We arranged a visit and the car was perfect. John prepared the car ,and we picked it up the following Saurday. A couple of things were corrected to our satisfaction, but nothing was too much trouble..
We'd certainly recommend TC4U to anyone looking for a quality car. I spotted just the car I'd been looking for on the Trade cars4u web site. My dad fell in love with a very smart BMW 320 in Grey, obviously due to the mileage involved it wasn't practical for my dad to view in advance, so all communication was via email and eventual phone call to agree to buy. All communication was faultless and every information requested was received in promt time and the final deal over the phone was discussed fairly for both parties to be a good deal. My dad was met at the station and driven to the garage, being in the trade myself I was nervous that he had bought it blind and I was praying it would be okay as I was unable to accompany him to help. The car turned out to be fantastic and everything my dad wanted, the car was fuelled, tax'd etc and ready to go. All in all the purchase and subsequent ownership has been a complete pleasure and I hope I can purchase from them in the future when I need to change. A breath of fresh air. What a lovely bunch. This is what you want when looking for a used car. No hassle, no pressure, no lying, no gimmicks. Showed us to the car and spoke about it then left us the keys and left us to it. Came back after 5-6 minutes and asked if we want to test drive the car. Test drive was spot on. Got a good deal. Car's been beautiful, no problems. I would definitely buy another car from them.